The public opinions related to the fear of AI are mostly grounded in misconceptions of what AI is. For many people, talking about AI is like talking about aliens. Therefore, let’s start with the “why”: why people get scared? Because most people don't know what is AI. The lack of knowledge is what makes us feel the fear – same as with the aliens, right? However, some people might disagree because even someone like Elon Musk -who has exposure to the very cutting-edge AI- has publicly claimed that his biggest fear now is AI’s evolution. Following this statement, some people freaked out! However, then, what happens? Once the talk is over, they leave the room and go back to their laptop, and they start typing questions and waiting for a chat-box to answer. Funny enough, the chatbot is a primary form of AI, but nobody calls it AI, so no one is scared. People are already interacting with simple types of AI. Thus, if you're afraid of Artificial Intelligence, you should know that it's already somewhere. The lack of knowledge generates a sort of fear towards something that we don’t know yet. At the very moment, the public opinion of AI is so abstract that everyone can only get a feeling of it, but not a clear understanding. It’s like the fear of the dark. Kids get scared because it makes them feeling unarmed and not in control. At this point comes the mass-media promoting a cartoon-ish image of AI. “Bad news confuses, confusion stimulates panic,” wrote JFC Fuller. Think about some fruit-juices in many supermarkets. You buy them because there’s a juicy orange printed on the box, and it clearly states “orange juice”; but, if the box would show the picture of the chemical molecules that are really contained inside, while the claim says “mix of industrial and chemical elements with the flavour of orange”, would you still buy it? So, that’s the same case. If I’d show to people the Terminator and Robocop while telling them that those steel-made-guys will populate the planet very soon with the flag of AI, what reactions do we expect? Manuel Cebrian -a research manager at MIT Media Lab- studied the reactions: "We are interested in how AI induces emotions — fear, in this particular case". And he defined two categories: the idea that AI will become a conscious identity trying to destroy us, and the belief that some immoral people will use AI for evil purposes. By definition, curiosity is “a strong desire to know or learn something”. In fact, “Curiosity” is also the name that the NASA used for a machine designed to explore Mars. If people could put aside their fears of hostile AI, there will be more openness to explore the edges of this technology. Many examples of AI are already next to all of us, right now: Siri, Alexa, Netflix, Facebook, and so on. Even more, other applications of AI makes it beautifully helpful for us: image-recognition algorithms to help dermatologists identify potential cancers, facial recognition software to fight the overfishing in a bid to save the ocean, machine learning to predict earthquakes, drones to scan vast areas on the coast owned by oil and gas companies to avoid contaminating the sea. I believe, we can enable people to be informed about this technology, but at this stage, we can’t foresee its exact evolution. For this reason, the examination in this article is limited to exploring the first area related to the “fear”, and so aiming to empower everyone with the freedom to judge based on individual opinions. My hope is that the public opinion will find stability on a middle ground, because a neutral and rational observation of such a powerful technology would avoid the opposite mistake, which is an excess of trust that already lead many –nowadays- to a misuse of the current technologies, in the private life as well as on a large scale. Lastly, people like Elon Musk are right, there is undoubtedly something to be scared, but is not the AI in its general meaning. Instead, it will be a specific form of AI, or it will be a particular product or service coming out of this technology. That’s something that we can’t predict, and that we can’t judge yet. Same thinking goes for social media, the internet, the phones and for any other technology. Some humans applied these technologies correctly, but others didn’t. In the future, we will become more conscious of AI. Meanwhile, we can only define its ethical guidelines. 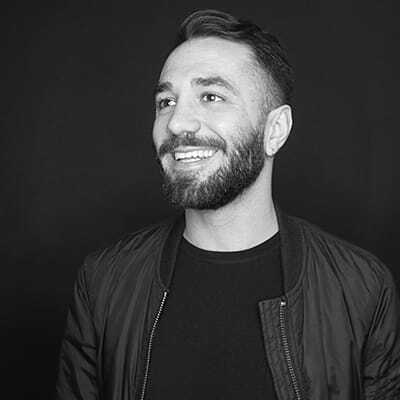 Tommaso Martucci is an Innovation & Design Manager at INDEED. He is specialized in Service, Ux/Ui & Innovation, with a background in Product Design and Workplace Strategy. Milan, London, Shanghai, Belgrade or Shenzhen are just some locations, where he proved his design versatility. Feel free to join his reading list by following #timeforreading on – actually – every known social media channel.